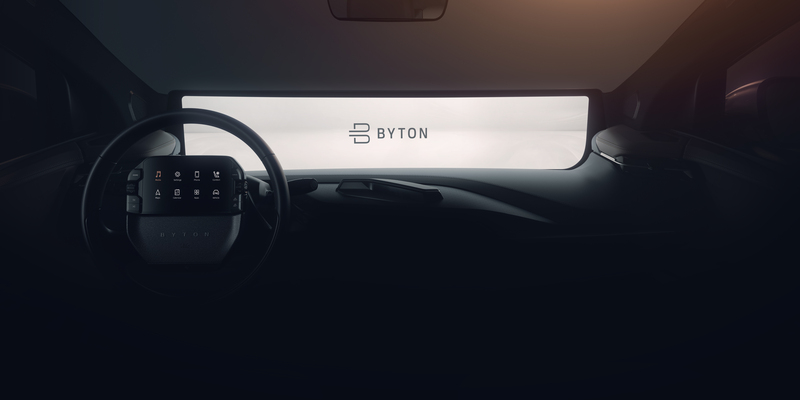 Premium smart EV brand BYTON will showcase the latest progress made on its first production car, including a new front-row design and new intelligent human machine interface (HMI) technologies, at the 2019 International Consumer Electronics Show (CES) in Las Vegas in January, one year after its world premiere at the event. For its production models, BYTON will retain the most compelling innovations of its original concept model, including the world’s first 49-inch Shared Experience Display and the Driver Tablet on the steering wheel. Meanwhile, the interior of the production version will be further optimized to maximize the sense of luxury and technology, as the dashboard now adopts a wraparound design, integrating smart sensors and physical buttons with elegant curves and rich layers. BYTON positions its products as “next generation smart devices” and is committed to combining automotive engineering with the latest digital technologies to provide a pleasant mobility experience empowered by technology. At CES 2019, BYTON also plans to unveil more personalized, connected applications and services that will be applied in its production cars based on the BYTON Hybrid Cloud, as well as new technologies like BYTON Intuitive Access. BYTON targets to start series production of its first premium smart electric SUV by the end of 2019. The company is currently building an intelligent manufacturing base in line with Industry 4.0 standards in Nanjing, where the building enclosure of the plant has been almost completed and equipment installation has started. Vehicle testing is already in full swing, with nearly 100 prototype cars being put into a series of various tests. During CES 2019, BYTON will hold a press conference on January 6 2019 at 3:00 pm local time at the Mandalay Bay Hotel in Las Vegas, which will be broadcast live on its official website. From January 8 to 11 BYTON’s first SUV concept car, the BYTON M-Byte Concept, and its premium sedan concept car, the BYTON K-Byte Concept, will be on display at booth #8515 in the North Hall of the Las Vegas Convention Center.